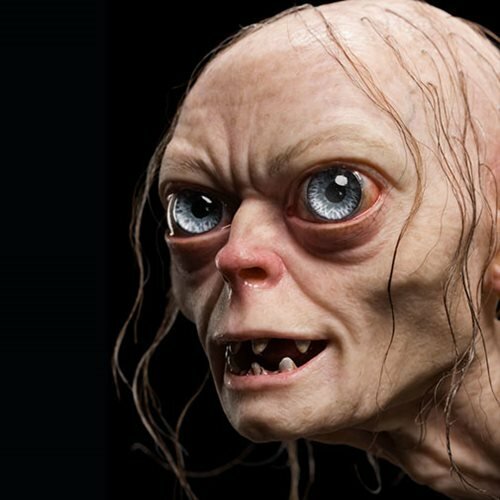 Two and a half years in development, Gollum launches WETA's Masters Collection line of statues! 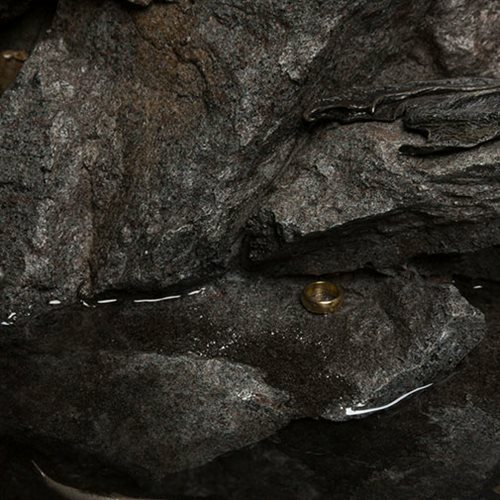 Crafted by master sculptor Jamie Beswarick, this stunning 1:3 scale statue features hand-placed hair, translucent skin, and cloth of real leather atop a rocky base complete with a clear, water-effect resin. 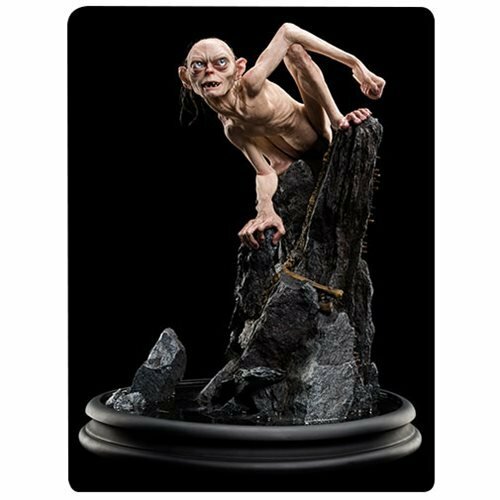 The Lord of the Rings Gollum 1:3 Scale Masters Collection Statue measues 16 1/2-inches tall x 13-inches long and comes packaged in a special premium box featuring an exclusive art print by Alan Lee. 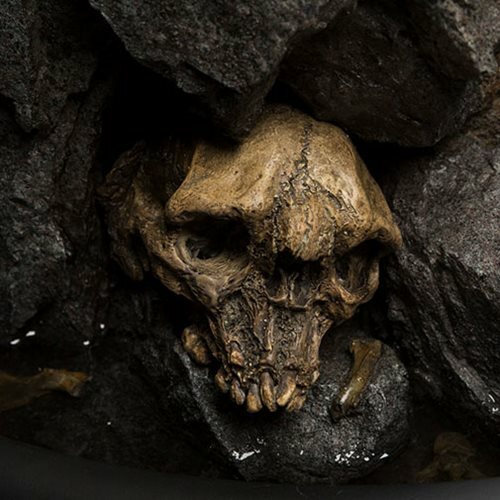 Limited editon to 589 pieces, each statue represents a year of Gollum's life in Middle-earth.